So, this time is continued from the last part, which is near St Stephen's Cathedral. We decided to have dinner near there. 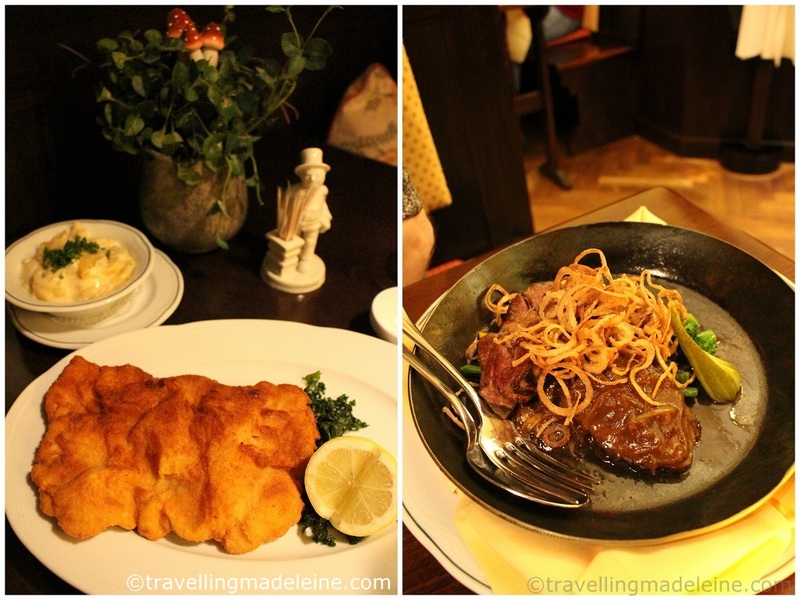 This restaurant is one of the oldest in Vienna and also used to be owned by the famous Franz Sacher who created Sacher torte. When we passed this restaurant, I just thought that what a lovely restaurant. And then I realized that I had checked this restaurant out in a magazine, and very interested!! So we snapped at this opportunity, opened the door and booked a table. Inside of the restaurant is such a lovely countryside interior. In the back is a different taste, but chic and calmed. This wooden wall and the mountain lodge-ish interior was really special and lovely. Each table were partitioned, so there was a privacy and made a relaxed atmosphere. There was a live piano music too! The uniform of waitresses were so cute!! We chose carpaccio for a starter. There were three kinds of slices which were beef, lamb, and veal with three different kind of paste. Anyway, surprisingly, the best for me was the lamb with mint paste. Because, I personally hate mint. I really can't eat. 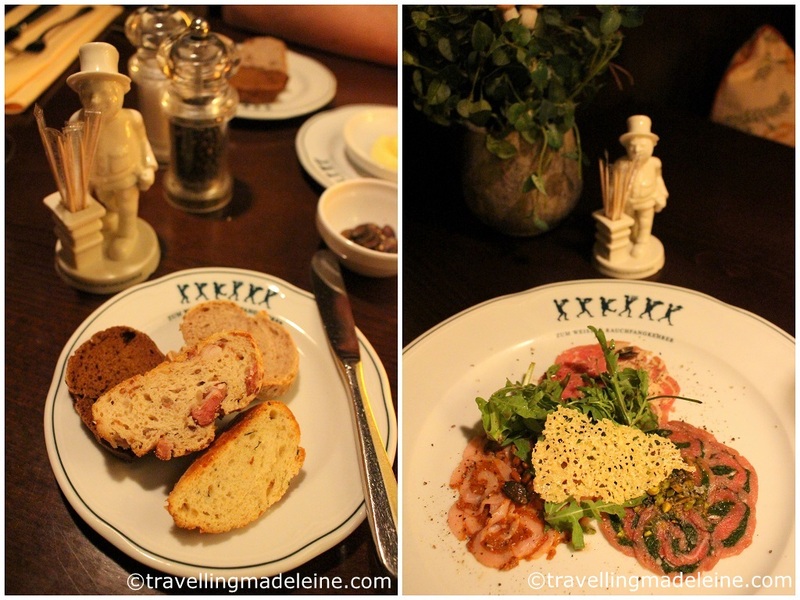 However, I felt that the lamb carpaccio with mint was so delicious!! The others were great too, of course. And for main, I chose Schnitzel. Yes, typical. I thought that I should have this typical menu in the genuine restaurant. Of course it was great. Just to make sure, the Schnitzel was delicious too, the batter was flaky and the meat was soft. Their roast beef was just.....heaven. So tender, almost melted on the tongue, and the sauce was delicious too. By the way, the restaurant's name means The White Chimney Sweeper. Usually chimney sweeper is covered with black soot. Then why is he "white"? Because he was flirting with a baker girl, so he was covered with white flour. 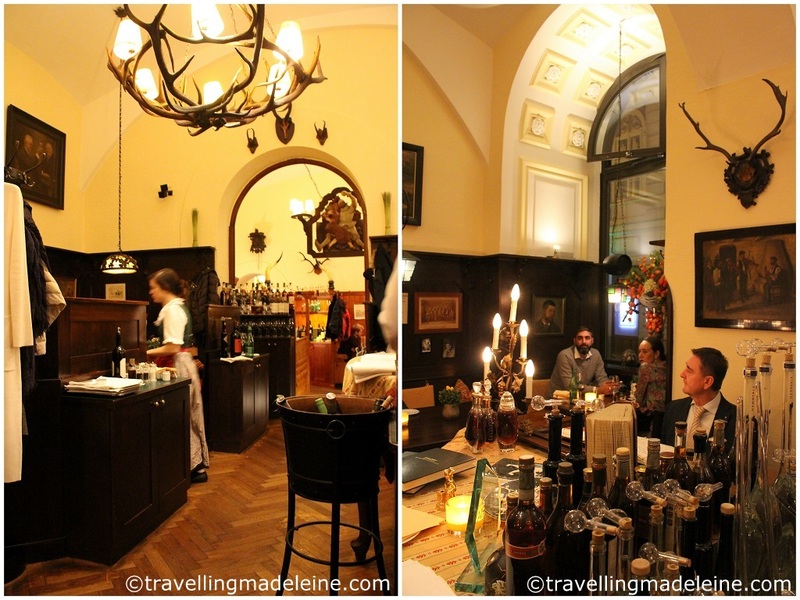 If you are thinking to have a special night in Vienna, I really recommend this place.